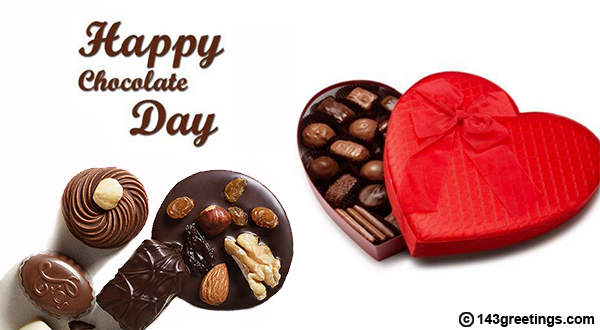 Chocolate Day Messages: Chocolate Day which comes every year on February 9 is the third day of Valentine's week. 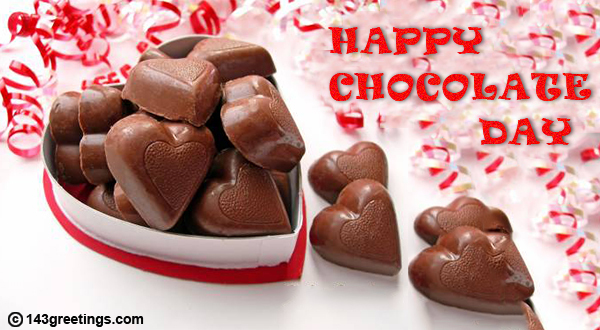 The day is dedicated to delicious delicaces called chocolates. The day comes just after propose day. So, if you have proposed someone then it is time to present him/her with a wonderful gift. Well, what could be better than a bar of sweet chocolate. So, this year enhance the charm of your relationships and add more sweetness in life by presenting chocolate. Send amazing chocolate day messages to your friends and near and dear ones with whom you are unable to exchange chocolate on this day. You can directly send a message on any social media platform including Whatsapp, Twitter, and Facebook. Choose the best one and send a message now. Whenever, I gorge on that favourite chocolate of mine, I am always reminded about you; a little bitter and a whole lot sweet. Dear, I do not have the words to express my love for you, so I am sending you this chocolate. Happy Chocolate Day, sweetheart! Dear, chocolate tends to become much more sweeter when I am sharing it with you. Happy Chocolate Day! Thanks for entering my life and filling it with so much sweetness. Happy Chocolate Day! No one cares for me as much as you do. You have filled my life with love. Happy Chocolate Day! Your love is sweeter than the sweetest chocolate in the world. Love you always, sweetheart. Happy Chocolate Day! What is more powerful than words? A sweet chocolate. So, express your love by giving a chocolate to your sweetheart. Happy Chocolate Day! A chocolate becomes much more sweeter when you share it with the one you love. Happy Chocolate Day! No matter if it is bitter or sweet, chocolate is always fun to have. I love you sweetheart. Happy Chocolate Day! You are just like chocolate, most of the times you are sweet and sometimes bitter. Happy Chocolate Day! Some are crunchy, some are nutty, some are delicious but none of the chocolate is like you. Happy Chocolate Day!! Only those friends are gems which bring chocolates for you whenever they meet you. Happy Chocolate Day!! All I want in life is you, you, only you... and a box full of chocolates..P.S.- i love you more... Happy Chocolate Day!! The sweetness of chocolate may remain on your tongue for a few minutes but the touch of my lips is going to be there.. forever... Happy Chocolate Day!.. Love you! Love is not about how long you have been each other, it is about how wonderful was the journey... Happy Chocolate Day!! Happy Chocolate Day to my love who is sweeter than a chocolate.. Love you! No jewelery, no gifts, no money is going to impress my foodie babe as much as a chocolate.. Sending a box full of chocolates for you babe....... Happy Chocolate Day! It's Chocolate Day today... Perfect day to tell you that I love sharing everything with you.. Even CHOCOLATES.. Love you so much! You are the sweetest person I met on this earth... So, here is a box full of chocolates for you...Happy Chocolate Day!! You are cadbury, I am silk; you are kit, I am kat, you are equal to five, well, I am a star.. All I want to say is you complete me my love... I love you.. Happy Chocolate Day!! You are my choco-pie and I am your hot chocolate.. Love you!... Happy Chocolate Day!! Life is like a box of chocolates.. Some are dark, some are nutty, some are soft.. but all are sweet.. Enjoy every moment in life.. Happy Chocolate Day! Is there any better way of expressing your love for your girlfriend other than gifting her a chocolate? Well, we believe, yes there is a way. You can also send some sweet words to your girlfriend along with a sweet message. In this week of love, tell her how sweet and wonderful she is. Share some good messages directly to her on any social media platform including Whatsapp, Facebook and Twitter free of cost now. Happy chocolate day! Have a sweet day and I want to fill your mouth with delicious chocolates. I know you love chocolates more than me, so here is the hamper of chocolates from all brands baby. Hey my chocolaty baby, I love you and I know how to make you happy, happy chocolate day. Chocolate will make you fat, but i can see you sad. So, eat chocolate as much as you want, will love you still. Chocolates are your weakness and I would love to see weak and melted with me. Here is the chocolate bouquet for you. 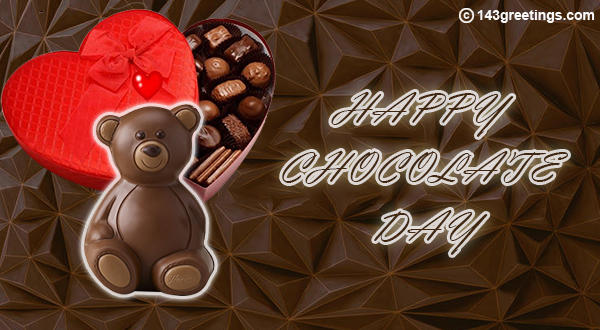 Send an amazing Chocolate Day message to your boyfriend for conveying him how sweet he is. Tell him how deeply you are in love with him and how much you miss him every day. 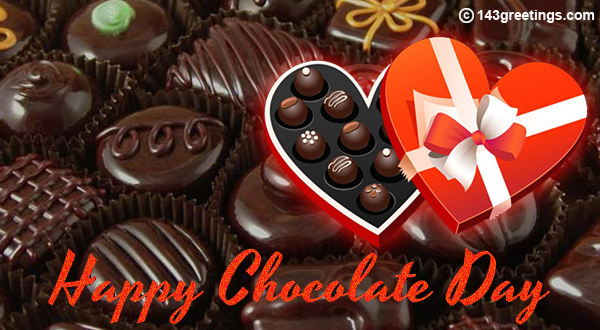 Wish your loving valentine a Happy Chocolate Day by gifting him chocolates. You can also give your man a surprise with a box of chocolates. Do not forget to write a loving message. Let’s mix our love with chocolate and enjoy the cocktail. Happy chocolate day sweetheart. Come home soon. Have a great chocolate day, you are the one boy who loves cholocate and this has made me fall in love with you. Happy Chocolate day to you my real dark chocolate. Let’s celebrate the chocolate day together, having everything chocolaty around. Hey dear happy chocolate day. You know what I love chocolates a lot and you are my favorite flavor. Here is the chocolaty hamper to my chocolaty boy. I love you dear! And will love you always till my last breathe. Do you know the reason why I love you so much? It’s because, you own a chocolate shop. Happy Chocolate Day. 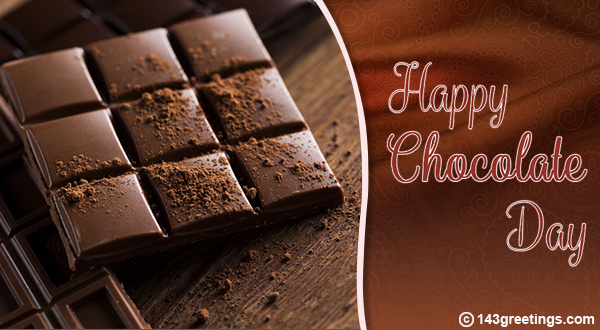 Have a great chocolate day, let’s get drenched in chocolates and enjoy the day to the fullest. Happy chocolate day to you dear, here is my handmade chocolate for you, I have named it sweetheart.